A new hospital is welcome. 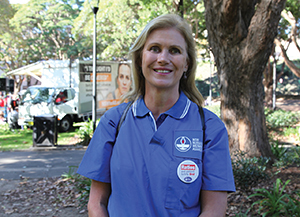 Private management is not, says Northern Beaches nurse Lyn Hopper. “For the past 20 years nursing and medical staff of Manly and Mona Vale hospitals have been begging for a bigger, newer hospital on the Northern Beaches to replace our two old and inefficient hospitals. Minister Skinner has announced a new 423-bed hospital for the Northern Beaches. Hurray? But no, it is going to be a privately designed, built and maintained public hospital. This is the beginning of the privatisation of the public health system. Already the federal government gives public money to the private system through the Medicare rebate, but this new Northern Beaches hospital takes the use of public money for health care to a whole new level. The O’Farrell Government is giving money earmarked for public health directly to a private corporation. This private operator has an obligation to shareholders to make a profit so the concern arises as to how well the chronic patients will be treated. The average private patient is high turnover, not the elderly and chronic patients found in our public hospitals. There is also the issue of financial accountability. With the government giving public money to a private corporation they move away from the controls of Local Health Districts, thus moving the accountability of public monies another arms length away. Privately maintained public hospitals have been tried before in New South Wales – look at the disaster that was Port Macquarie. It had many disputes about needing extra funding. Eventually the New South Wales government had to buy it back at an exorbitant cost. It was a huge loss to the public purse as a result of the government attempting to privatise public facilities.